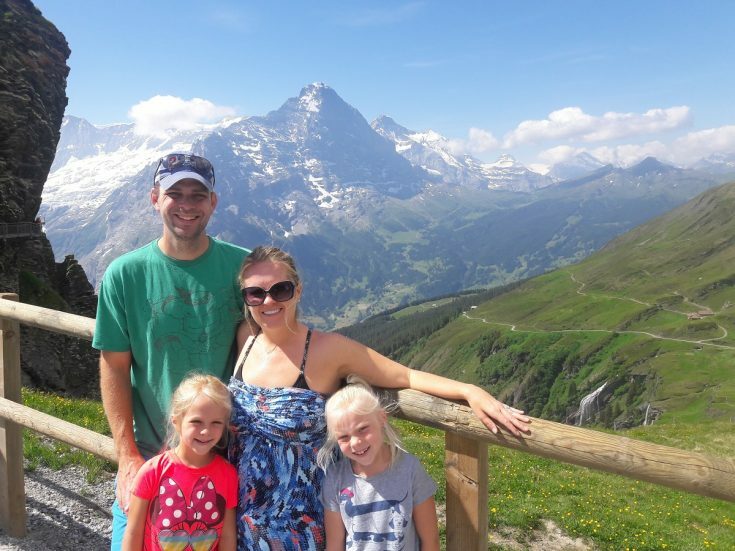 As many of you know, our family recently took an 18-day trip to Europe, spending several days in Switzerland. If you’ve never been there, Switzerland is like Heaven on Earth. The mountains are incredible. The lakes are crystal clear. And the views… OH those views. Seriously, this place has got to be what paradise looks like. 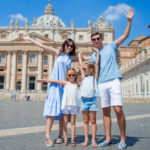 We did a complete recap of our trip a few weeks ago (you can find the section on Switzerland here), but many of you have asked for more…. and I’m more than happy to oblige! 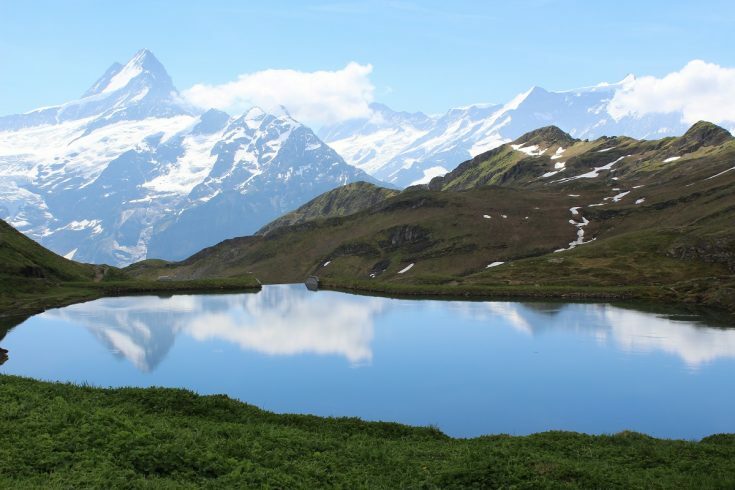 Instead of talking about tips and tricks, today we’re just going to admire the beauty of the Swiss Alps. Honestly guys, I’ve been a lot of places – and a lot of places with mountains – but these are the most incredible views I’ve seen. 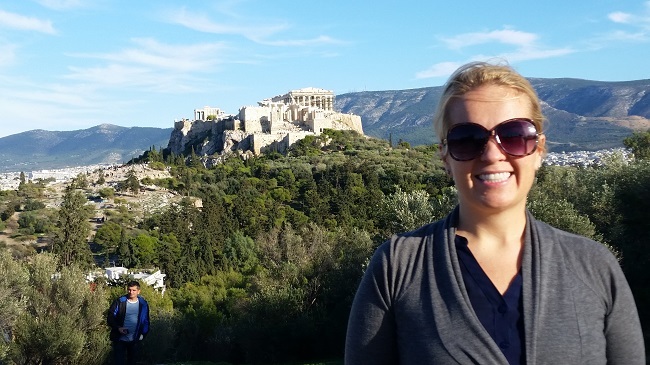 I’m by no means a professional photographer, but the surroundings are so breathtaking that even my photos look good. 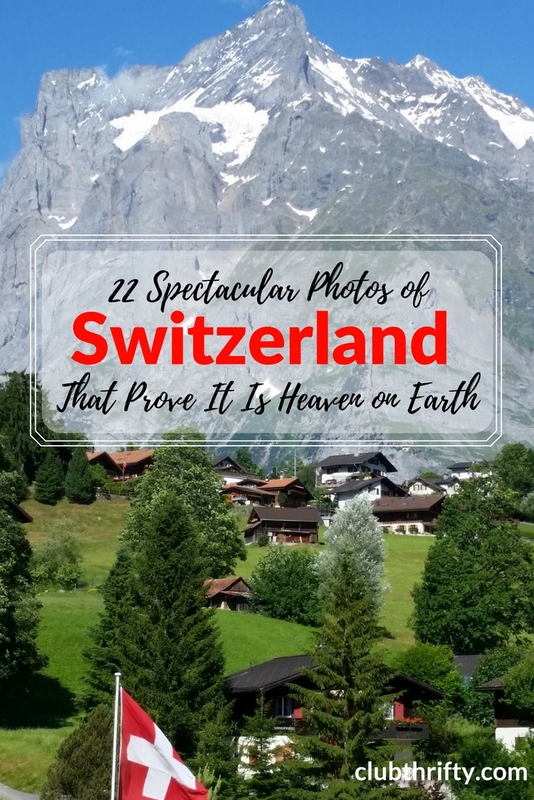 So, without further ado, here are 22 photos that prove Switzerland is heaven on Earth! 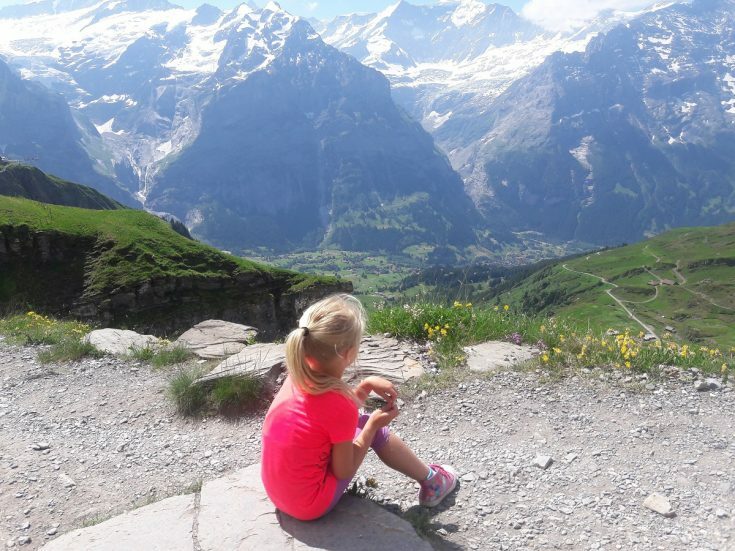 We spent about half of our recent trip to Switzerland in the Jungfrau region, staying in the mountain village of Grindelwald. I took this shot during our hike to Bachalpsee Lake. It was a beautiful morning for a hike, and we’ve got the pictures to prove it. This is a closeup of the Schreckhorn. I love how it reflects in the crystal clear water. Here’s another shot of the mountain reflecting in the lake, this time from a bit further back. If you’re in the area, take the Grindelwald First lift all the way to the top. The hike to the lake is roughly an hour each way from the lift, and the path is relatively flat after you get past the initial short climb. 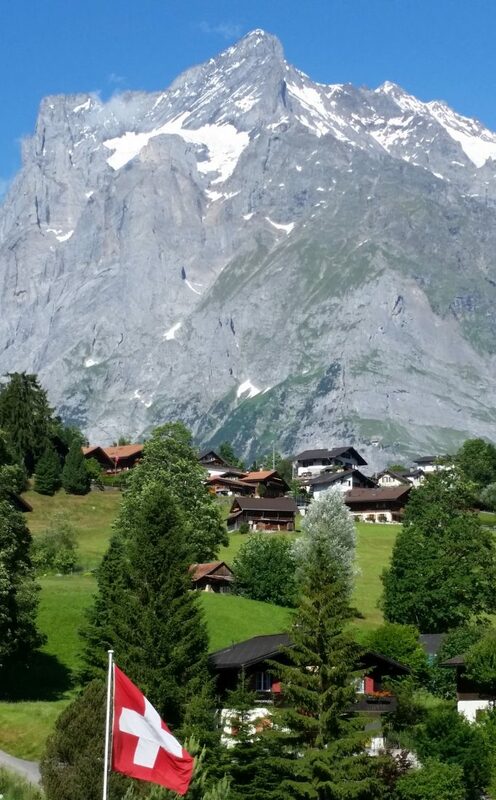 This is a view from the village of Grindelwald, with the Wetterhorn towering over the town. Directly below the flag is an outdoor waterpark, complete with a pool and slides. We found Grindelwald to be extremely family friendly. 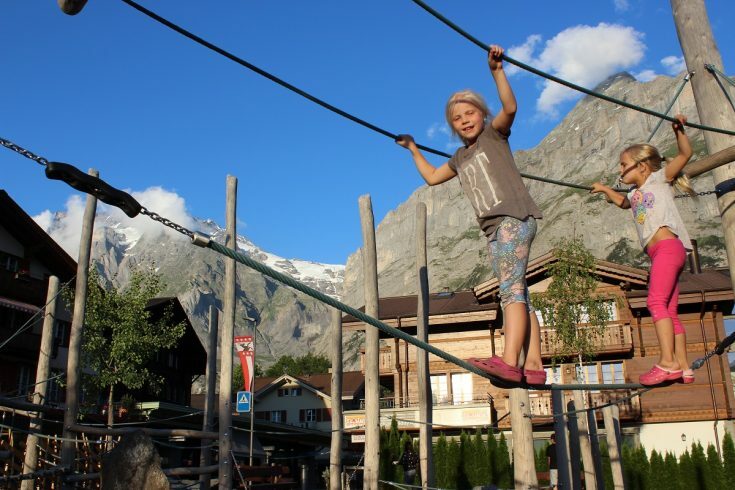 Speaking of family friendly, here’s a shot of the kids playing at the playground in Grindelwald. This particular area is located right next to the visitor’s center in the heart of the village. If you decide to take the Grindelwald First lift up, you’ll find other play areas located at some of the stops. In the background, you can see the Wetterhorn on the left and the Schreckhorn on the right. To give you an idea of how high those peaks are, Grindelwald sits at an elevation of about 4,000 feet. 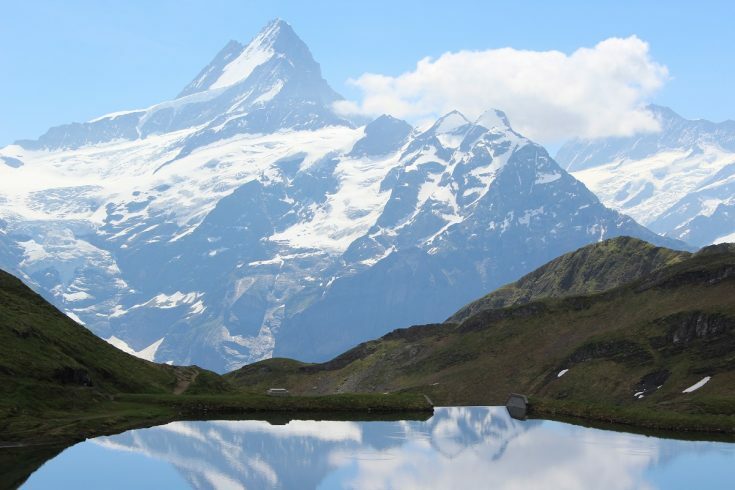 The peak of the Wetterhorn is about 12,150 feet high and the Schreckhorn is about 13,400 feet high. The steep vertical rise makes it feel like they’re right on top of you, providing a very dramatic scene. I grabbed this shot from my phone in Interlaken. Mainly, I wanted to capture the color of the water, and I think the phone did a pretty good job. The water gets its blue color from the purity of the water and the minerals contained in the meltwater that runs into the lakes and rivers. The lakes and rivers are even more beautiful in person! 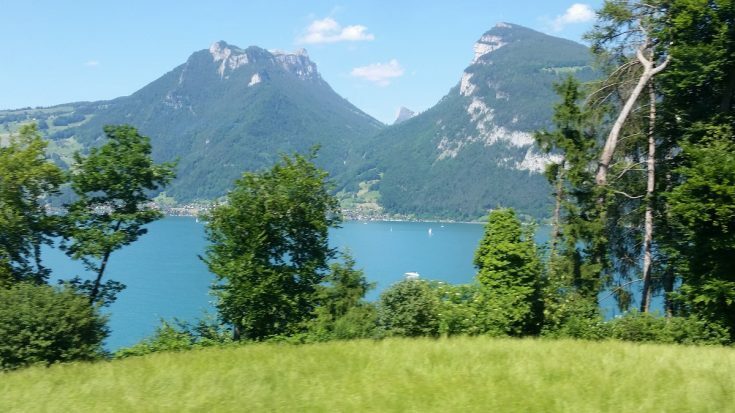 This is a picture of Lake Thun located near Interlaken. If you look closely, you can tell I snapped this picture with my phone from a moving train. Again, look at the amazing water and the incredible backdrop. For me, mountains plus lakes equal perfection! 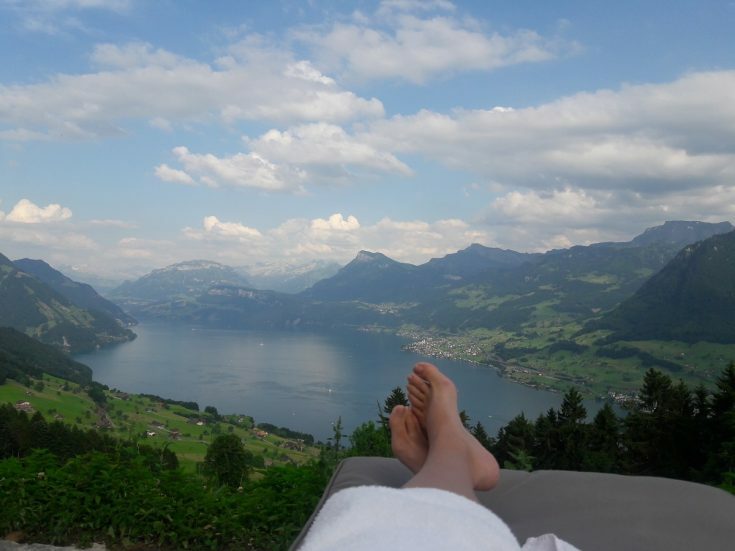 Here’s a photo Holly snapped with her phone from the pool deck at the Hotel Villa Honegg near Lucerne. 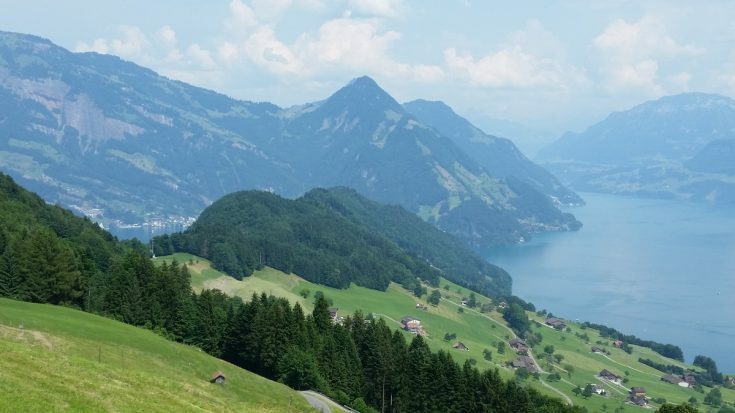 That is Lake Lucerne you see below. Quite frankly, this may be the most magnificent pool view in the world. 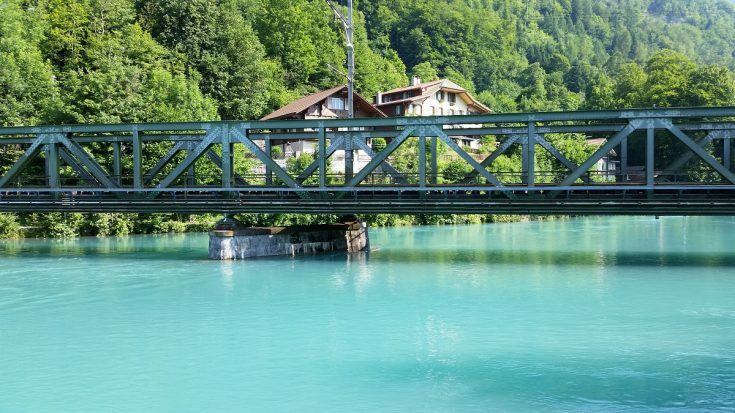 It’s also one of the most romantic spots in Switzerland for couples. 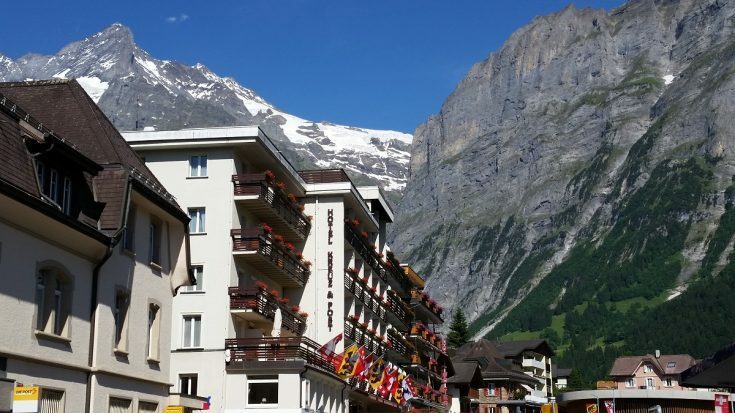 Here’s a view of some of the hotels and businesses located in Grindelwald’s main center. Again, we had spectacular weather while we were in Switzerland. It was hard to take a bad picture! Here’s a shot I took on my phone near Kandersteg. This is the view from the top of the Kandersteg-Oeschinensee lift, right beside the famous alpine slide. Breathtaking. 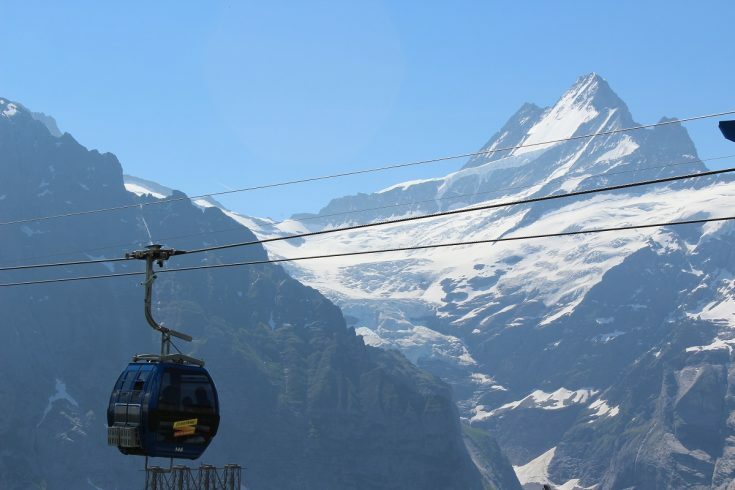 This is a view of one of the gondola’s near the top of the Grindelwald First lift. There is also a restaurant at the top with a great view. The restaurant and gift shop are attached to the lift station. 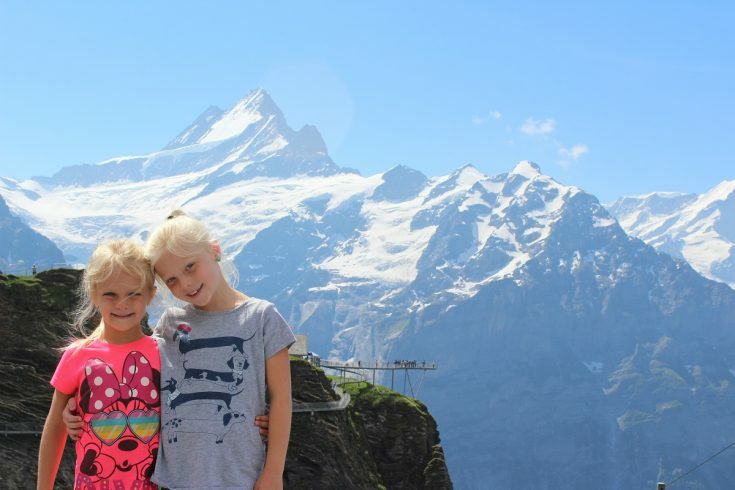 Here’s a family shot of us near the top of the Grindelwald First lift. Hard to beat that view! If I’ve got my directions straight, I believe the peak in the background is the Eiger. I just couldn’t resist! 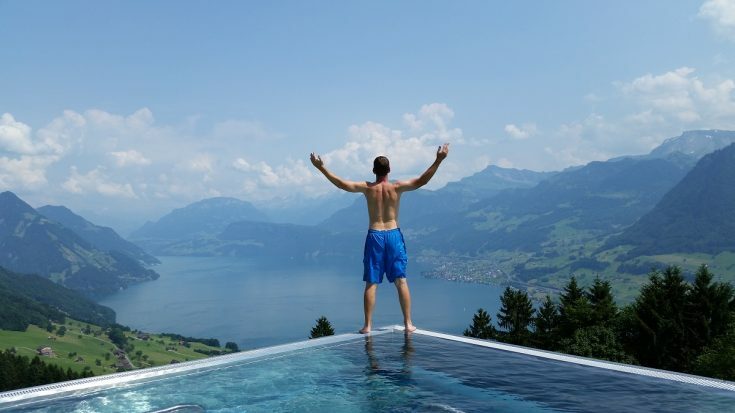 This is me soaking up the view from the pool at the Hotel Villa Honegg. Seriously, isn’t that the best pool view you’ve ever seen… well, if I wasn’t in it, anyway? 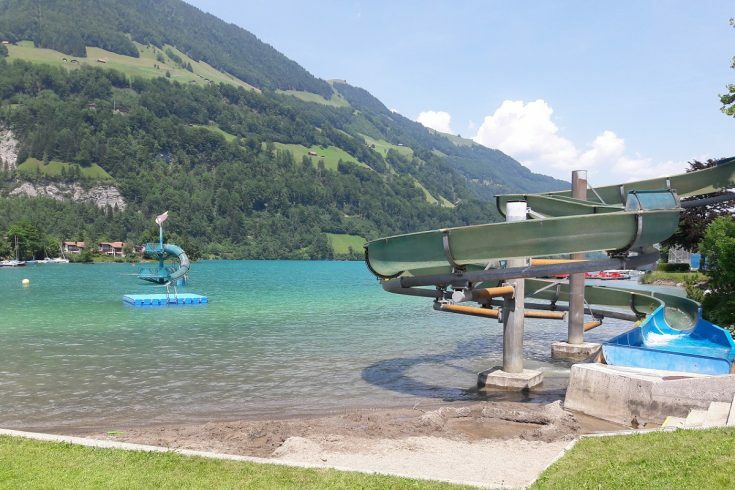 Here’s another view of Lake Lucerne from a different angle. 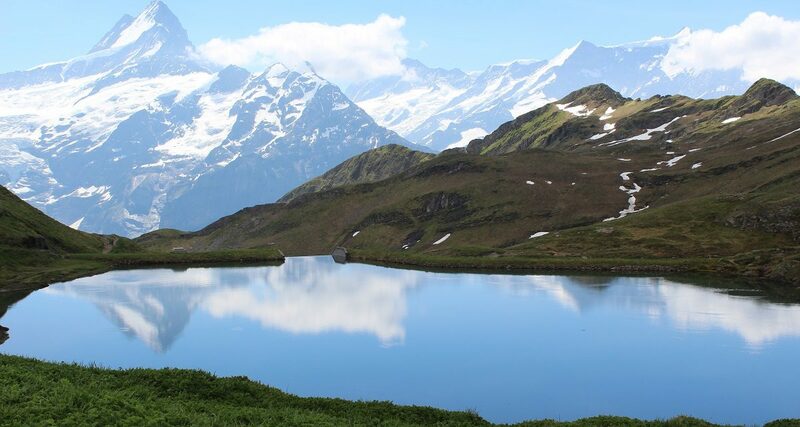 There is plenty to do at the Hotel Villa Honegg, including some really nice hikes. You can read our entire Hotel Villa Honegg review here. 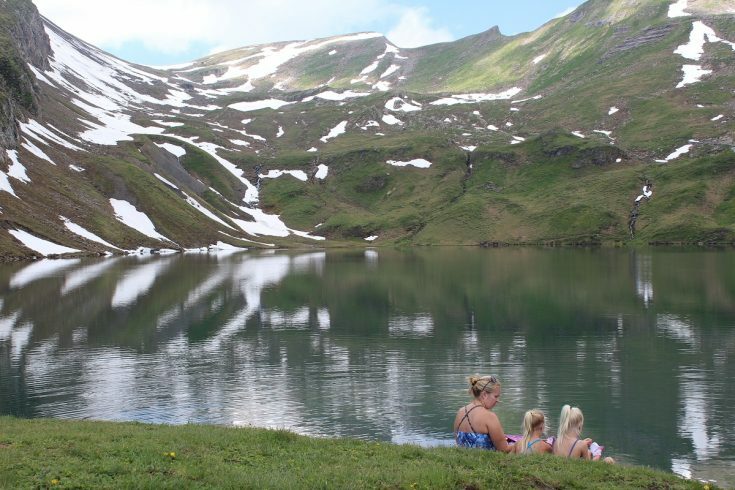 I love this candid shot of Holly and the girls sitting by Lake Bachalpsee near Grindelwald. I love how the snow reflects so brightly in the water. The girls thought they’d try to get in and swim, but – as expected – the water was cold enough to take your breath away. Even though it was June, they got in to about their knees, screamed, laughed, and ran out! This photo of our youngest is one of my favorite pictures from our trip. Here this little twerp sits, looking out over the mountains and into the valley below. It really is an awe-inspiring sight. 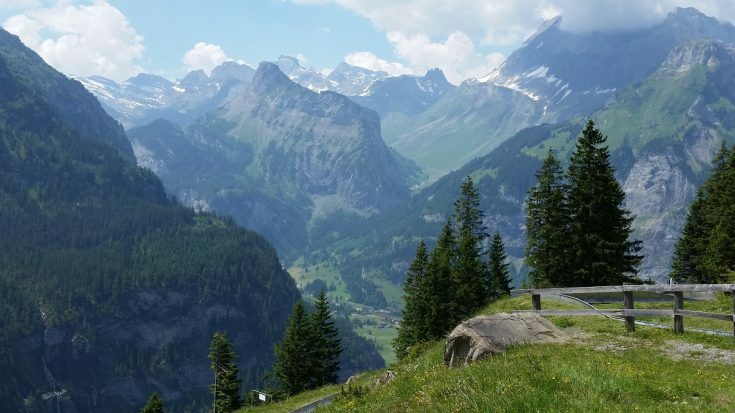 This is a view of some of the mountains surrounding the alpine slide in Kandersteg. I took this shot from my phone while standing on a bridge that sits atop a section of the slide. The slide itself is a blast and rather cheap. Here’s a link to a video I shot of the ride down. I definitely recommend coming up here if you get the chance. I took this photo from a scenic lookout along the side of a mountain road. The village of Lungern can be seen below the mountain along the shores of the lake. If you look really closely, you can see a beach in the bottom right hand corner of the picture. 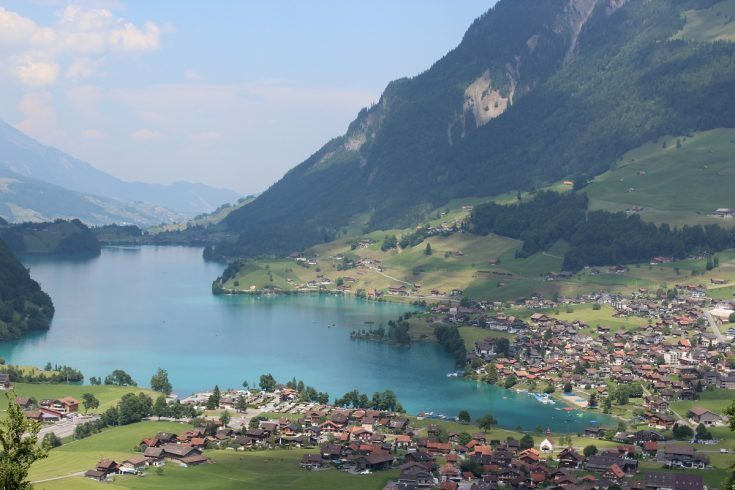 We thought the view was so stunning, we decided to come back to Lungern a few days later. The town is small, so it was pretty easy to find the beach. This fun spot is open to the public and costs less than five bucks a person. You can see the water slides, diving platform, and the two diving boards. They also have a water trampoline you can bounce on. We spent the entire afternoon here, which was a perfect way to end our trip. 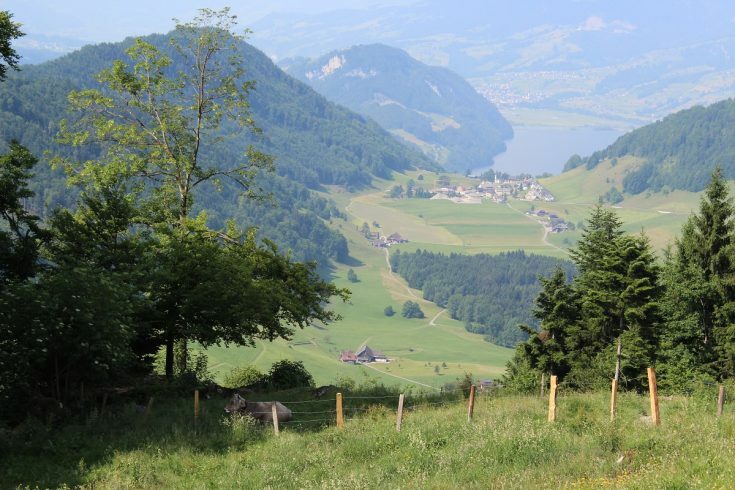 Yes, there really are cows grazing along the mountainside in Switzerland! This photo was taken on a hike up the mountain from the Hotel Villa Honegg. If you look below the tree on the left, you’ll see the cows sitting in the shade. And yes, the cows wear cowbells too! 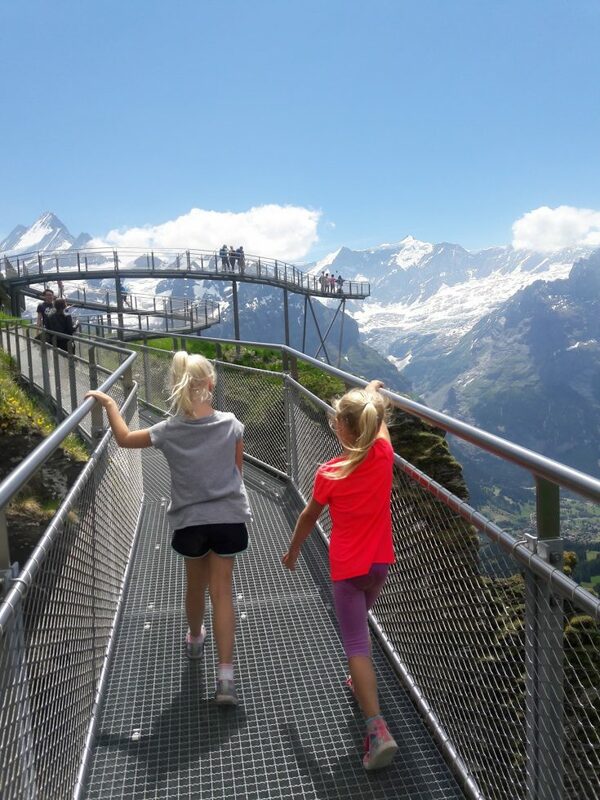 This is the “Cliff Walk,” another very short hike you can reach from the top of the Grindelwald First lift. That is Holly and the girls slowly making their way around the corner. Here’s one last shot of our hike near Grindelwald. 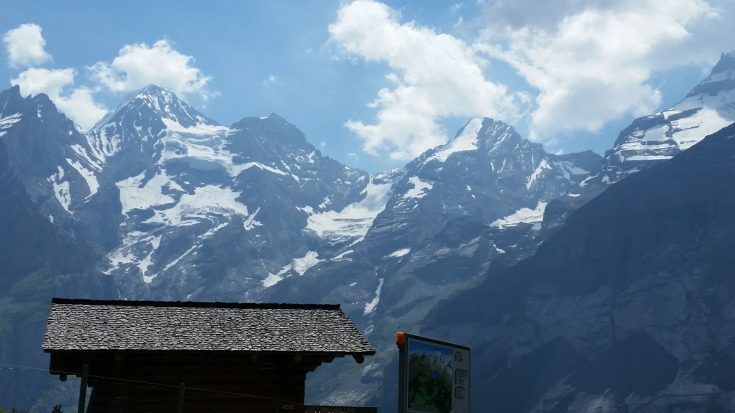 It’s got a great view of the Schreckhorn, and you can see the cliff walk clinging to the side of the mountain. I think I’m gonna need to get this one framed! As you can tell, Switzerland is one of my favorite places in the world to visit. I like to think these photographs are pretty good, but they only begin to capture the beauty of the Swiss Alps. Honestly, this has got to be my Heaven on Earth, especially when I’m there with my family. 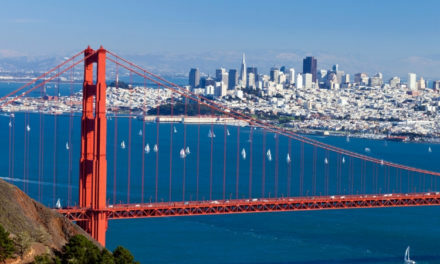 I can’t wait to go back! 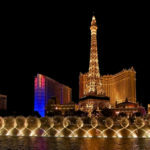 By the way, if you’d like to take better travel photos of your own, follow the link to read some tips from my friend Joel – who just so happens to be a great photographer. Thanks for joining me on this visual journey through the Swiss Alps. I hope you’ve had fun! Until next time, happy traveling! 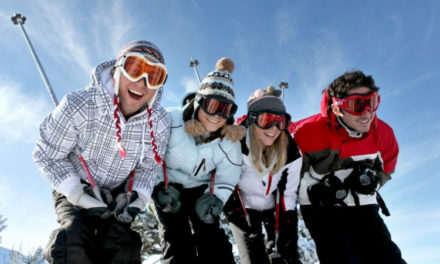 Have you ever been to Switzerland? What did you think of it? Let us know in the comments below! Looks awesome! I never want to go on that cliff walk though. 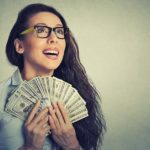 Wow, that is gorgeous! Thank you for sharing!!! Looks amazing. 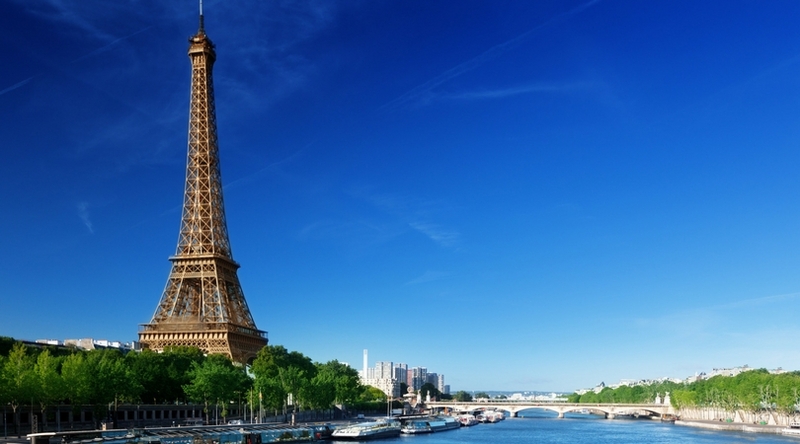 It has honestly being one of my top destinations I want to travel to for a long while. 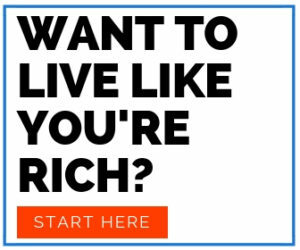 It makes me want to work hard to get successful enough with my enterprise ideas so that I can afford to travel the world like I want to, with this as the first destination. Glad you enjoyed your time there! Those photos look amazing! And I’m sure, as with most photos, in reality those places are even more astonishing! I’ve experienced the feeling first time I visited Venice. I’ve seen hundreds, if not thousands of photos, as most travel lovers do, but seeing it ‘live’ is simply priceless! Amazing pictures of Switzerland!!. 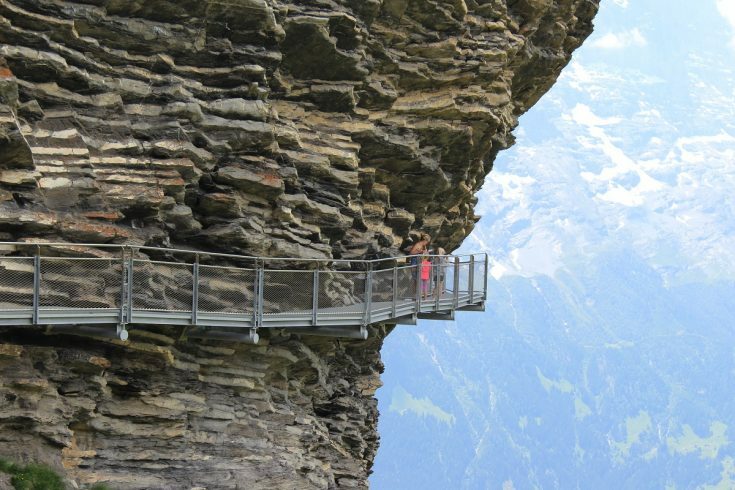 Don’t know if I will have the heart to walk on the Cliff Walk because it looks damn scary ! Great selection! 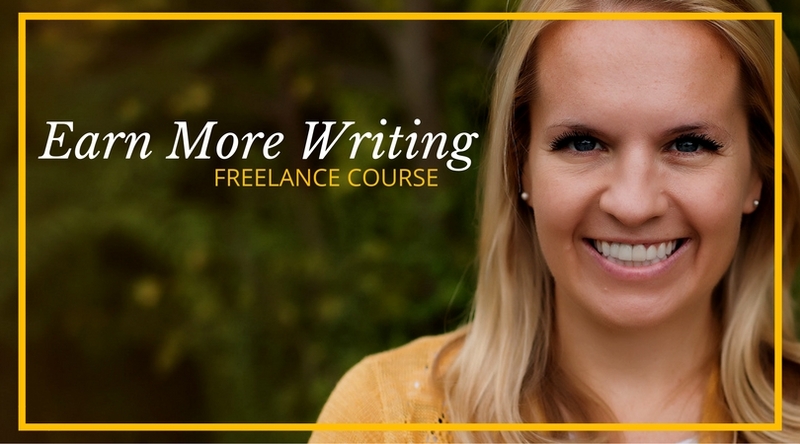 I just found your blog – I’ll be back! 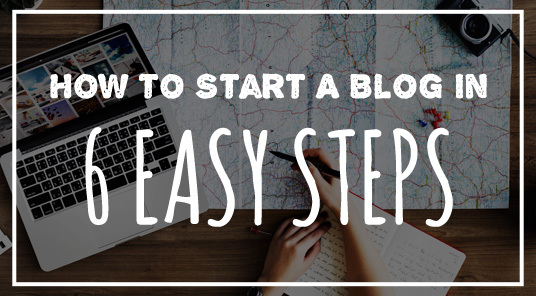 I am also just starting my travel blog journey but have been traveling globally and living as an expat for the last 12 years. 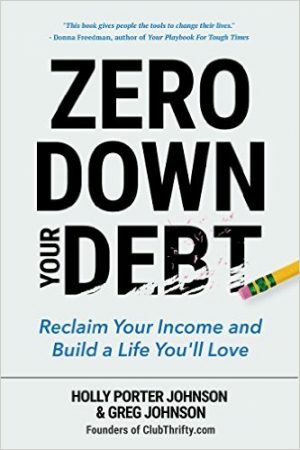 I’m happy to find this community!